Y’all. 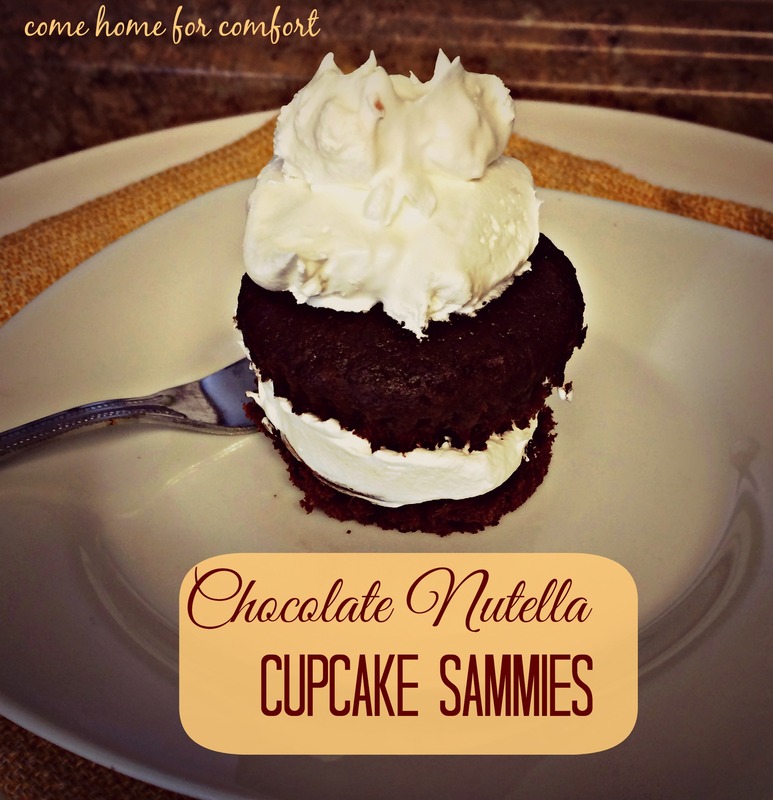 These chocolate nutella cupcake sammies are so amazing. And simple. Ready? Set. Go. You can bake the cupcakes ahead of time and store them in the freezer. I like to pull a few out of the freezer at a time for a quick weeknight dessert. Add the nutella and cool whip and you’re good to go! You’re welcome! They are just that! These look so good! Will have to try them. Thanks for the recipe. mmm i love nutella! these look so good! xo jillian – cornflake dreams stop by! I’m hosting a tasty giveaway.